The Ypsilon PSE300B is an amplifier that couldn’t be missing from our line of products. The 300B is a seductive tube with a legendary status to it and a touch of nostalgia. Of course a root travelled by many, but a root taken many times does not mean it can’t produce new surprises. A 300B amplifier made in the capacity of the PSE300B can produce much more than just surprises. It will most certainly lure you in, to experience unlimited and pure enjoyment. 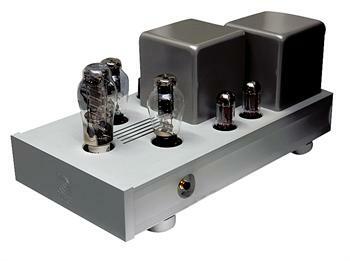 Combining in house made transformers, silver internal wiring and custom made components, the outcome is a 2 stage directly heated triode design with no feedback, transformer coupled with valve rectification, producing 16 Wrms by using two 300B output tubes, one 300B input tube and two GZ 34 rectifiers.